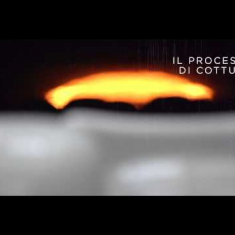 One of the most interesting examples of the Made in Italy brand. An oasis of well-being dedicated to those who love taking care of themselves. Perfectly echoing the VOLA Round-head shower 060 VOLA presents the latest additions to its exclusive shower range: The Round Series hand shower T60 and shower rail T65. 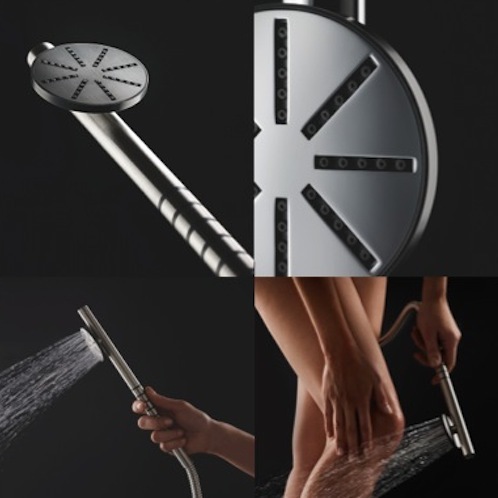 Both products effortlessly continue the aesthetically pleasing forms and materials of the innovative Round-head shower. 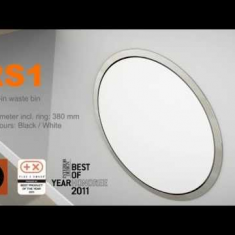 The timeless and elegant simplicity of the Round-head shower has already won awards from international industry bodies. Selected by many renowned architects, it is being enjoyed in luxury private bathrooms and hotel suites the world over. Now, in combination with the new Round Series hand shower and shower rail, it will provide ultimate VOLA design coherence and functional excellence to the most discerning customers – whether for their own contemporary homes or as key elements of an architectural concept. At VOLA they believe continuity not only pleases the eye but also calms the spirit. In an increasingly relentless world, they design products whose form and function ease the stress of daily life – and make the bathroom a place of refuge and tranquility. 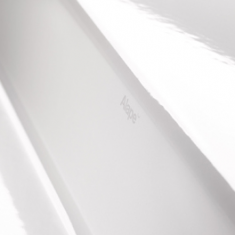 The unique products all take their proportions from the classic Arne Jacobsen taps designed more than 45 years ago. This creates a visual synergy: it is why they work together so naturally. The new Round Series hand shower is no exception. It takes the special elements of this design language – the circle and cylinder forms – and combines them with functional simplicity to provide an antidote to the most hectic of lifestyles. The Round Series hand shower is a seamless extension of the VOLA Round-head shower. They are based on the same design DNA. The core design elements of the Round Series are the spherical shape and the narrow ring. This elegant ring can be seen clearly in the side new. The slender cylindrical form of the supporting tube extends behind and beyond the shower head subtly emphasizing the latter’s status as the key element. The shower rail also relates to existing VOLA design elements. It is attached to the wall with a circular fixing, matching and adjacent to the round hand shower head – creating a horizontal harmony with the shower taps. When ready for use, the Round Series hand shower head can be held in place by the optional shower rail. A button responds easily to one hand, sliding it to the best height for effective showering. The round hand shower and shower rail are designed by Aarhus Arkitekterne. VOLA offer choices not only in aesthetics but also in functionality – to create a mind and body experience that combines relaxation and invigoration. The new Round Series hand shower comes with a standard flow of 12 litres per minutes. But it is also available in a water-saving model with a flow of 7.5 litres per minute. 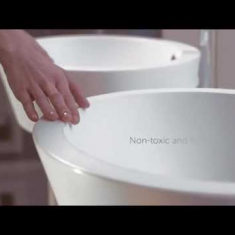 Sustainability through water conservation is important to VOLA. But this is only one part of a holistic approach to reducing energy consumption. VOLA quality products last for generations, keeping the environmental effects of manufacturing to a minimum. 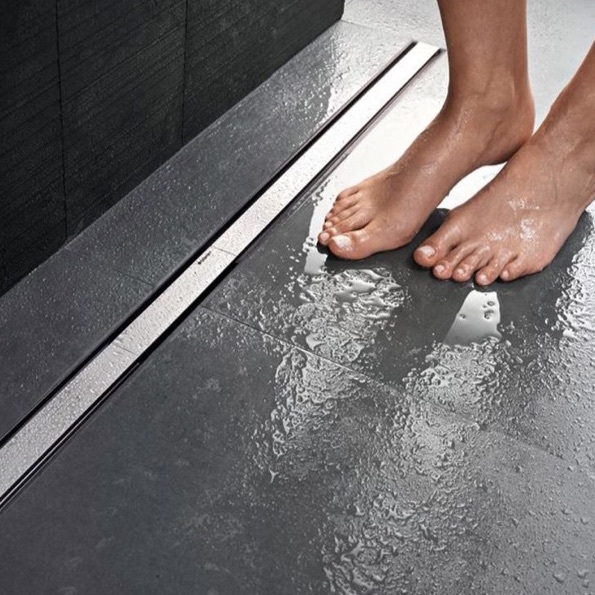 Solutions for floor even showers. Floor-even showering is booming. More and more customers want to have an open design in their showering area. with clear advantages for sanitary engineer, the plumber and the customer. 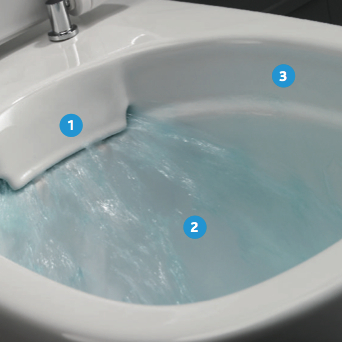 1.Water cascades into the toilet pan from a slot at the back of the bowl. Holes at either end of the slot act as jets, powering water right around the bowl and rinsing it clean quietly and effectively. 2.Smart design ensures that water enters the bowl at precisely the right angle to maintain its speed and force. The shape and size of thetoilet sump means that the pressure of the water pushes the contents away quickly and smoothly. 3.With no rim the bowl looks cleaner.